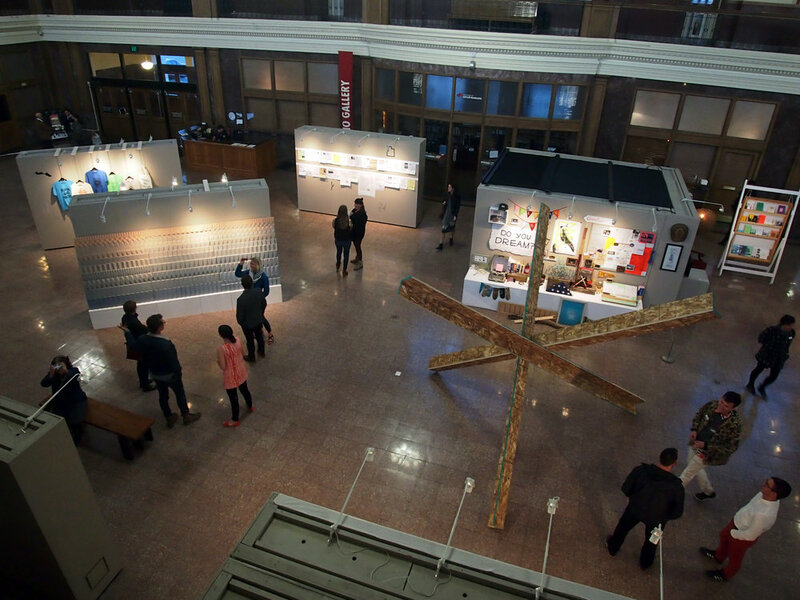 A Call to Place: the first five years of the Frontier Fellowship was a publication and an exhibition at the Rio Gallery in downtown Salt Lake City, March 18 – May 13, 2016. A Call to Place features the first five years of Frontier Fellows: 50 visiting artists and collaboratives who have each spent up to a month in residence generating place-based work in Green River, Utah, alongside the community. 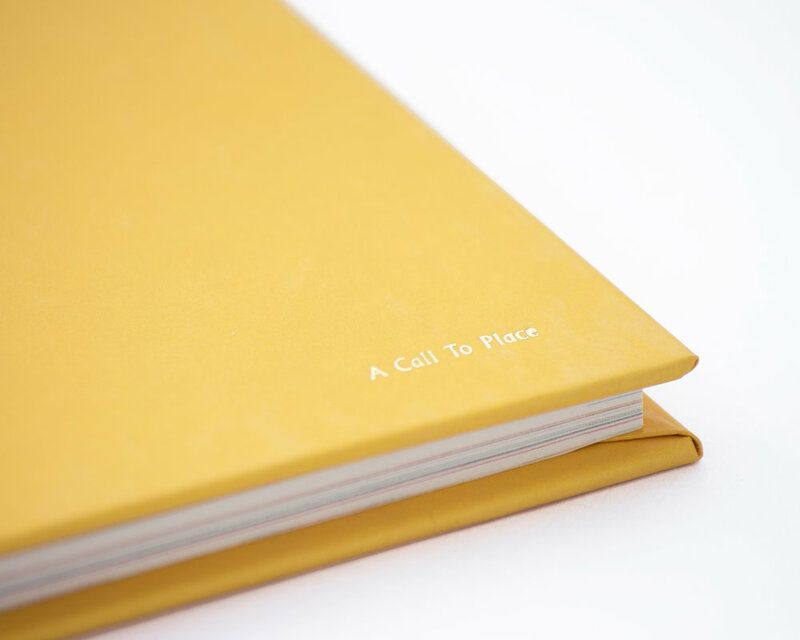 A Call to Place was co-curated by Maria Sykes, Bryan Brooks, and Corbin LaMont. Graphic and book design by Corbin LaMont. Epicenter’s visiting artists, Frontier Fellows, prove an integral part of this revitalization by discerning and celebrating Green River’s rural pride and pioneering spirit. A Call to Place features the first five years of Frontier Fellows: 50 visiting artists and collaboratives who have each spent up to a month in residence generating place-based work in Green River alongside the community. Featured artists: Gina Abelkop, Dylan Adams, Sarah Baugh, Michelle Benoit, Colin Bliss & Lucia Carroll, Zach Bulick, Cabin-Time, Pete Collard & Alice Masters, Shawn Creeden, Erica Ruth Dixon, Grayson Earle, Eliza Fernand, Justin Flood, Kristina Fong, Ryan Troy Ford, Molly Goldberg & Mary Rothlisberger, Raphael Griswold, Andrew Hamblin, Catherine Page Harris, Jamey Herman, High Desert Test Sites, Celia Hollander, Geoffrey Holstad, Emily Howe & Jordan Gulasky & Phil Dagostino, Russell Kerr, Aidan Koch, Spencer Kroll, Laurelin Kruse, Corbin LaMont, Nicole Lavelle, Sarah Lillegard, Rob Loucks, Miles Mattison, Zoe Minikes, Ali Osborn, Jordan Topiel Paul, Zorth Pilonieta, Richard Saxton, Sincerely Interested, Cyrus Smith, D. Strauss, Charlotte XC Sullivan, Lisa Ward, Bennett Williamson, and Nick Zdon. A Call to Place was made possible with support from the National Endowment for the Arts (Art Works–Design), Utah Division of Arts and Museums, Steve & Juanita Sykes, Emery County Travel Board, and the Sorenson Legacy Foundation.